Do you live in the town of Underhill or own a business in Chittenden County, Vermont? Are you searching for an accounting and bookkeeping company that offers custom bookkeeping, QuickBooks training and tax preparation services? Are you looking for an accounting firm but dont want to travel too far from Underhill? If you answered yes to any of these questions then Sheltra Tax & Accounting, LLC can help you. Sheltra Tax & Accounting, LLC has the accounting and bookkeeping solutions you need. 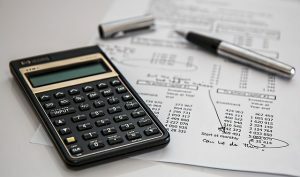 We offer many different types of tax services and bookkeeping solutions that can help your business in Underhill operate smoothly and efficiently. Sheltra Tax & Accounting, LLC takes great pride in providing tax solutions to residents of Underhill. Our tax resolution specialists help service all of Franklin County. Below are just some examples of the many areas that we service in Underhill. Sheltra Tax & Accounting, LLC provides tax preparation and tax relief services in the state of Vermont. Our enrolled agents are trained to help you with all your tax, bookkeeping and accounting needs. For questions about our services or for more information please call our office at (802) 878-0990 or contact us today.